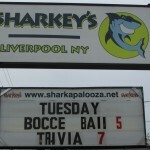 We had a huge turnout on Tuesday to the point where 16 sets of bocce balls were all being used at once! 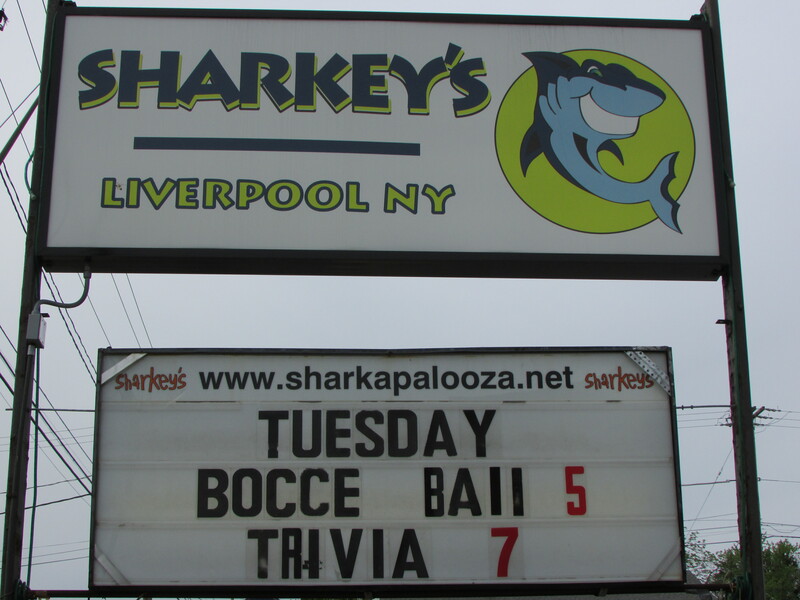 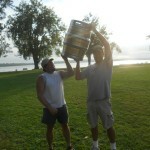 We have officially moved from playing bocce at Onondaga Lake Park to playing bocce at Sharkey’s Bar & Grill in Liverpool. Here are three ways to make the best of the switch. 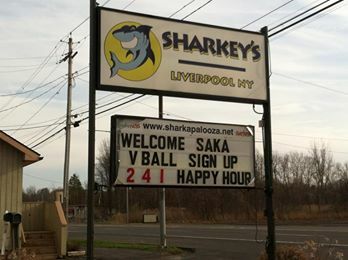 Show up at Sharkey’s at 4pm and enjoy Sharkey’s happy hour deal (which is 2 for 1 EVERYTHING) until happy hour ends at 6pm. 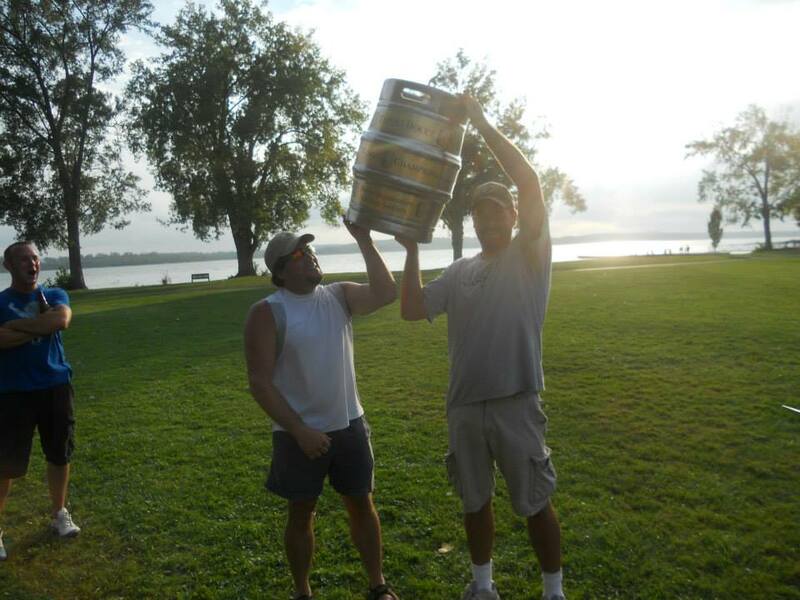 Then come play bocce.